A router is an integral part of your broadband connection. The cost of a router can be as little as £15 or, as is the case with the Netgear Orbi, as much as £400. This is a huge variance in price, but what do you really get for all that extra money? Will forking out for a pricey router make your internet faster? The router is usually the first step between your computer and the internet. Before your connection goes anywhere, it goes through your router. The main function of a router is to assemble the connections from multiple devices into a single outgoing connection. Without a router, every device in your home would need its own dedicated connection to access the internet. Routers are quickly becoming a necessity instead of a choice. It is now common for each person in a home to have multiple devices, like a smartphone, tablet and laptop, that all need to connect to the internet. The majority of broadband packages from different ISPs come with a router, either alongside a modem or with a modem built-in. Almost all modern routers are equipped with gigabit ethernet ports. This means that if you can run a cable from your device to your router, you can achieve speeds of 1000Mbps, or 1Gbps. That’s an impressive-looking number, but most internet connections won’t come anywhere near this and typically measuring in at around 30Mbps. This speed can be useful in other ways, though. Transferring data between devices connected to your router is staggeringly quick if they’re all wired in. If you want to set up a home media server so you can stream media to different devices then gigabit ethernet is the best way to go. If anything, using cables to connect to your router is just one less thing to think about. It’s the most reliable and the fastest way to connect, so if you can do it – you should. Sometimes you can’t, though, and this is where wireless comes in. 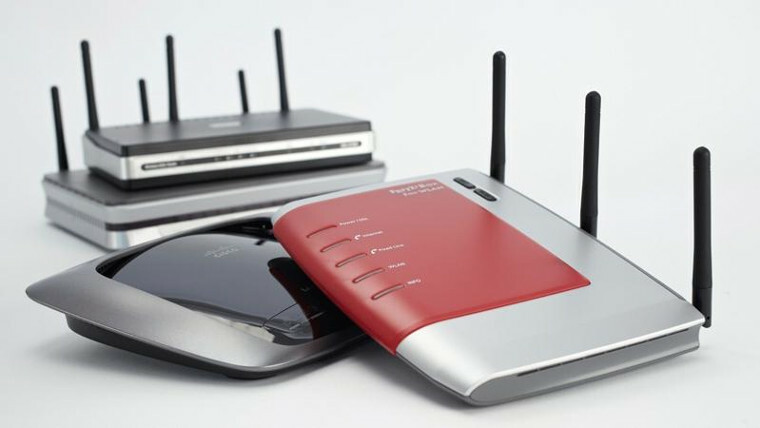 Wireless routers – what’s all the fuss about? Nowadays, it is almost impossible to find a router that doesn’t support wireless connections. Wireless is a lot harder to get your head around than ethernet, and it is where the difference between routers becomes more apparent. All home wireless is made under something called the IEEE 802.11 specification – this helps different devices from different manufacturers stay compatible with one other, so you don’t have to spend time figuring out what works with what. Things get a bit more complicated when we look at the different standards of 802.11 – ‘b’, ‘g’, ‘n’ and ‘ac’. There are many more standards than these four, but ‘b’, ‘g’, ‘n’ and ‘ac’ are what’s typical in the home. 802.11b is the oldest and slowest of these wireless signals, achieving maximum speeds of just 11Mbps and suffering from interference caused by other household devices. This technology is rather outdated, but older devices can be limited to the ‘b’ standard so be aware of the devices you are using. 802.11g is the successor to ‘b’. It achieves faster speeds, at around 54 mbps, but still tends to suffer from the same interference problems. 802.11n represented a big upgrade from the earlier ‘b/g’ specifications. Wireless ‘n’ routers are capable of using different frequency bands for wireless as well as multiple signals for both inputs and outputs through separate antennas. What this really means is faster speeds (around 450Mbps), less interference and a bigger range. 802.11ac is the most recent version of the specification, upgrading almost every aspect of the previous types. This wireless standard can achieve speeds greater than 1Gbps – that’s the same as a physical ethernet connection. You still run the risk of interference lowering this speed, but this is far less likely to happen than with previous wireless standards. The only real downside of ‘ac’ is that you might struggle to find devices that can make the most of it. This technology will only increase in use, however, so it can’t hurt to future-proof yourself with an ‘ac’ router now. All 802.11 standards are backwards compatible, so newer routers will still work with older devices using older wireless standards. The better wireless you want, the more it will cost you. If you want the ‘ac’ standard, you’re probably going to have pay a premium on it. Fortunately, the ‘n’ standard is now commonplace and available on even the cheapest of routers. So what else do you get for an expensive router? Well, if you aren’t looking to fiddle with the settings and fully optimise your connection, you don’t get much. What is probably the most powerful of these advanced features is ‘quality of service’, or ‘QoS’. If you suffer from busy household traffic and can spend the time setting it up a router with QoS can be a very worthwhile investment. This allows the user to allocate priority and allowances on the bandwidth of specific devices, ports and applications. This means you can always make sure that certain tasks receive their required connection strength, regardless of who else is using the connection. If your Netflix is always getting interrupted by your kids downloading games, you can fix that by lowering the priority of their computers on the network. Good to know. Which routers are the most reliable? The final deciding factor of a router simply comes down to manufacturing quality. 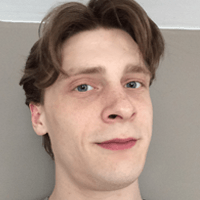 The router is a hard-working piece of kit – it’s almost always left powered on and has to deal with every single data connection going to and from all your devices. Cheaper routers may not appear to lack functionality when compared to the more mid-range variety, but they will almost certainly lack reliability. Lower quality components and less refined manufacturing methods mean that cheap routers are far more likely to overheat, break or encounter other errors and faults – such as a dramatically reduced wireless range. So do I need an expensive router? Probably not. A router is very unlikely to increase the speed of your internet, so the main use of a good router is for your own internal network. 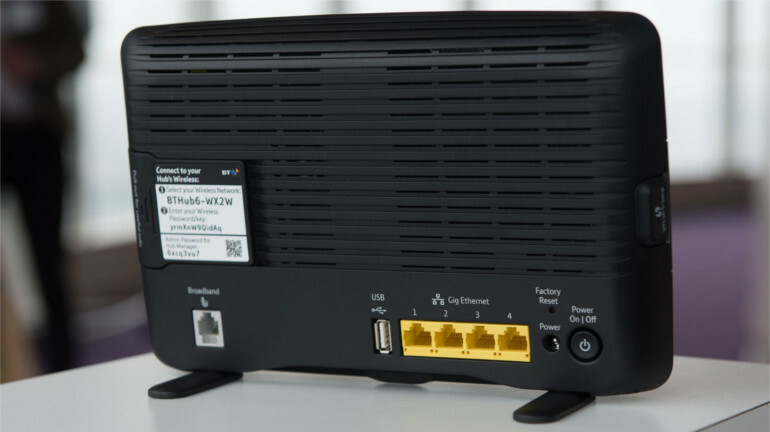 If you don’t plan on setting up a home media server, or making other consistent use of your home network, the stock router provided by your ISP is going to be perfectly functional. The new ‘ac’ standard of wireless looks like a huge upgrade when compared to previous standards, but it still only equals an ethernet connection. 50 meters of ethernet cable only costs around £20. Using gigabit ethernet ports is the most economical and reliable way to connect to your router. So, unless a physical connection is completely impossible to establish, ethernet cable still seems like the best way to go. What routers can you get for free from your ISP? Let’s have a look at the stock routers supplied by the major service providers and see how they match up. Each lacks the advanced features – like QoS – offered by the high end third-party suppliers, but make up for that by being very easy to set up and get going. TalkTalk offer two routers to new customers. You don’t get a choice in which one you’ll receive, but they appear to be functionally identical. Both routers cost £80 if bought separately, but are provided for free to new broadband customers. 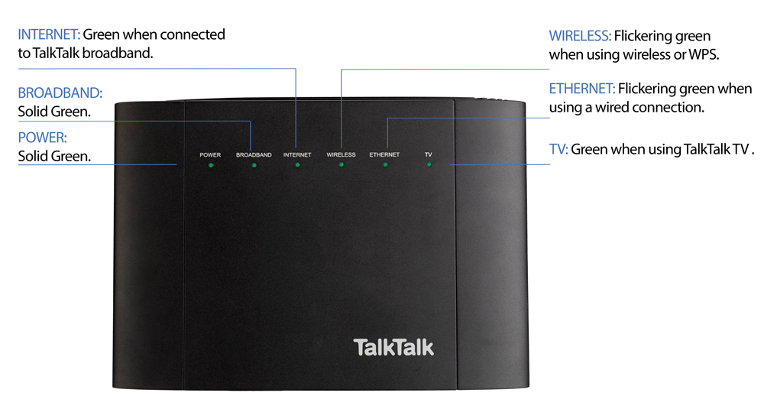 What the TalkTalk routers are lacking is gigabit ethernet ports – instead sporting 4 ‘fast ethernet’ ports, which allow for the not-so-fast speed of 100Mbps. That’s 10x slower than gigabit ethernet. The wireless capabilities are slightly more promising, with both routers providing the new ‘ac’ standard of connection. Unfortunately, this standard doesn’t appear to be reaching its full potential in these routers – reportedly reaching speeds of only 200Mbps from just two metres away. That’s a far cry from the supposed 1Gbps potential of the ‘ac’ standard. Overall, it seems the TalkTalk routers come up rather short. New BT infinity customers will receive the latest iteration of the BT router for free. Existing customers can upgrade to a Smart Hub for the discounted price of £65, while the Hub will cost a hefty £130 if bought separately. The Smart Hub is equipped with 4 gigabit ethernet ports, a fast USB 3.0 port for a printer or other peripherals and emits the ‘ac’ standard Wi-Fi signal. This wireless is powered by a whopping 7 internal antennas to increase wireless range and reliability, consistently reaching speeds over 70 mbps at distances of 20 meters or more. 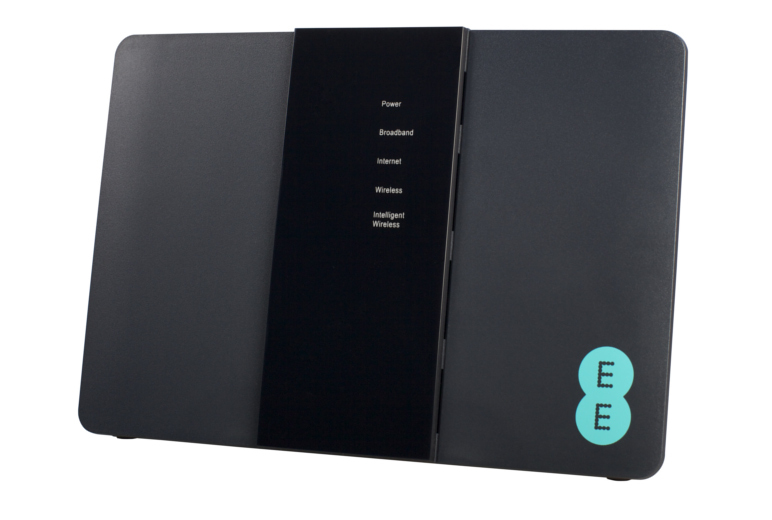 New fibre broadband customers to EE will receive a free Bright Box 2 router and it is currently not possible to buy separately. This router, unusually, features only one gigabit ethernet port and three ‘fast ethernet’ ports of 100Mbps. Considering that the main use of gigabit ethernet is in transferring data within your home network, having just one port is a baffling decision. It may as well not have gigabit ethernet at all. The Bright Box 2 does supply the ‘ac’ wireless standard, and was the first ISP router to offer this feature. Unfortunately, the other ISPs seem to have caught up now and the Bright Box can only offer a pretty poor signal at longer ranges. The latest Virgin Media router is available for free to new customers and existing customers upgrading to the latest 300mbps broadband package. It can’t be purchased separately but, as the modem only works with Virgin’s cable broadband, there isn’t any point in having one if you aren’t on their connection. The Super Hub 3 offers 4 gigabit ethernet ports and uses the ‘ac’ standard of wireless with 4 internal antennas. On paper, these specs are pretty impressive. However, manufacturing problems with the hardware and firmware of the router – stemming from a faulty Intel chipset – means users can suffer from poor performance. A firmware update was applied as a fix, but problems continue to arise. 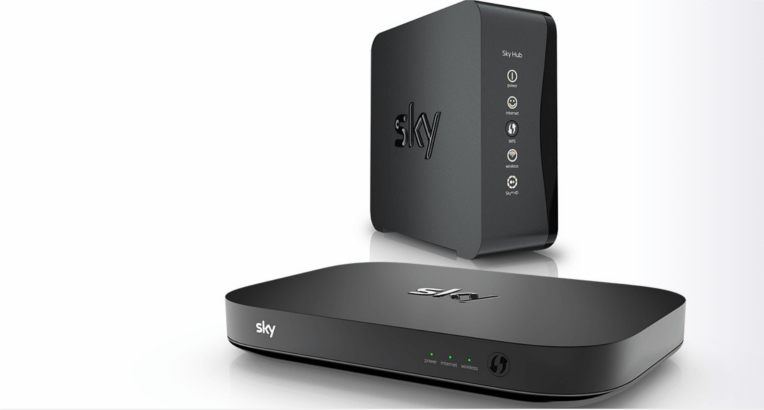 Sky offers two separate routers depending on the package you purchase. The Sky Hub is available for free to customers purchasing standalone broadband from the company. It doesn’t support gigabit ethernet or the ‘ac’ standard of wireless – relying instead on the dated 2.4 GHz ‘n’ standard. This is the only router provided by major ISPs to lack both features and this seems to be intentional effort to make customers upgrade to the new Sky Q package. Sky Q is a service combining Sky TV and broadband. The package includes the new Q TV box and the Sky Q Hub router. This router is a massive upgrade to the rather primitive Sky Hub but is still somewhat lacking. Unlike every other router on this list, the Hub Q only offers 2 ethernet ports. They are both gigabit connections, which is good, but a lack of ports can be very limiting in some circumstances. Things get much better with the wireless. Not only does it use the ‘ac’ standard but the Sky TV box and Mini Q extenders, all of which are included in the Sky Q package, boost the wireless signal of the router throughout your entire home – making for some very reliable and fast Wi-Fi. Finally, we have the Hub One from Plusnet. 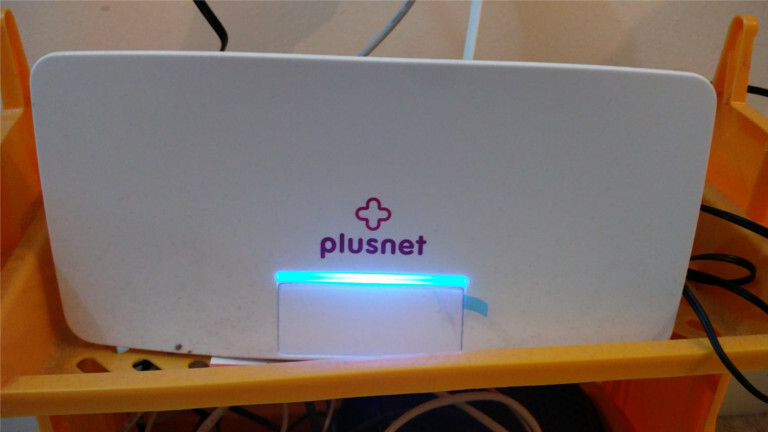 This router is free for new customers and is advertised by Plusnet as being worth £40. The Hub One comes with four gigabit ethernet ports and a solid ‘ac’ standard wireless signal. 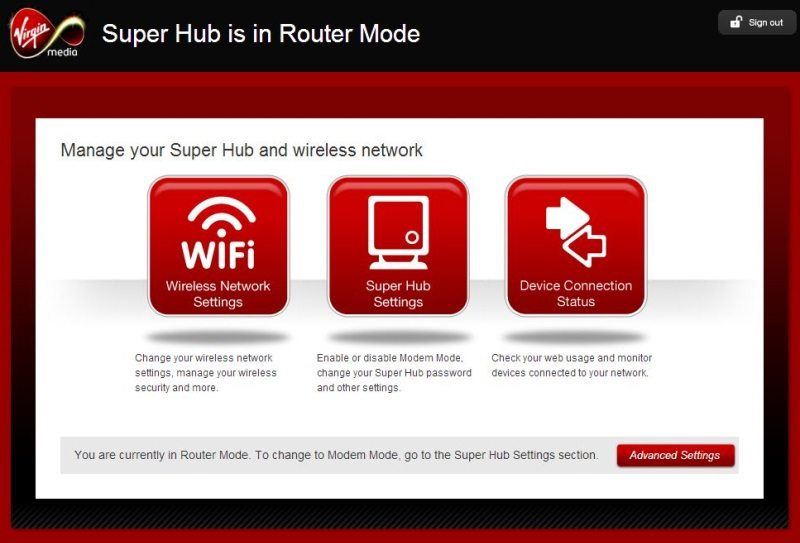 Worth noting is that the Hub One is actually just a white Home Hub 5, the previous version of BT’s stock router. This is makes it unquestionably worse than the Smart Hub router currently provided by BT, but it still beats out many of its other competitors. So whose router is best? 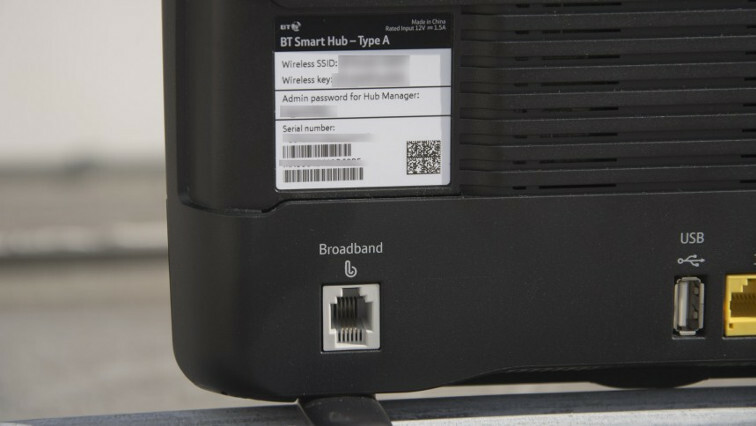 The BT Smart Hub seems to offer the most but, with a £130 price tag, is best acquired for free with a new BT contract. TalkTalk and EE both offer pretty sub-par routers, but the basic Sky Hub is easily the worst of the ISP routers, with no gigabit ethernet or ‘ac’ wireless capabilities. The Sky Q Hub, with proper placement of its extenders, could achieve the most consistent wireless signal but, as it is tied in with Sky’s TV services, the Sky Q package isn’t going to suit everyone’s broadband needs.